Industrial Cleaning Companies: Who should you choose? Making the right choice when it comes to industrial cleaning companies can be tough. With a number of industrial cleaners on the market, it can be difficult to differentiate between the good and bad. As a leading industrial cleaning company we have rounded up our top questions to ask during your search and how to spot a reliable company from one that doesn’t have the skillset to complete your project. When searching for the right industrial cleaning company that you can work alongside on an ongoing basis, it is essential to ask the right questions. These questions will be the foundation of your working relationship therefore be sure to gain a good understanding of experience, working methods and equipment from your potential providers. Do you have any case studies for similar projects? Asking for examples of previous industrial cleaning projects that they have worked on is a great way to gain an understanding of their experience. Particularly in more complicated jobs where small spaces need to be cleaned this will ensure that you are confident in their abilities. If your potential industrial cleaning company is experienced within their field, they will understand that investing in kit is essential to ensure a high-quality finished result. If they have invested heavily in their kit, they will likely have a good understanding of their industry and the importance their kit plays within an industrial cleaning project. What is your background in industrial cleaning? Finding out more about the company can only be a good thing, so ask about their background and the experience that they have within industrial cleaning. Gaining a good understanding of how long they have been working on these type of projects will give you more confidence in their services. As with any technical industry, it is important to look for a provider that has the appropriate qualifications and experience to carry out the work you require to the highest possible standard. Failure to find the right industrial cleaning company for your specific job could result in not only damage to your equipment, such as tanks and vessels, but also delays in the production of your materials. At Mantank Environmental Services we work with clients throughout the UK on their industrial cleaning projects. We work both directly with clients and on a contracting basis for some of the biggest brands in the country. 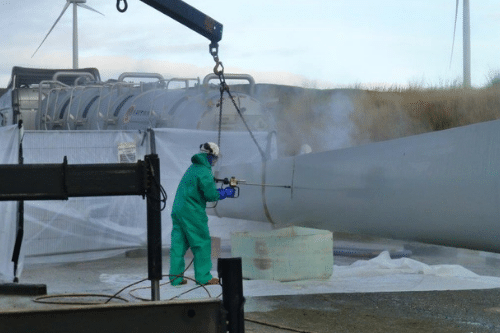 Our background within the environmental services industry has seen our team of over 50 work on very complicated industrial cleaning requirements. From non-entry tank cleaning through to small vessels that contain hazardous materials – our team cover it all. The experience that our growing team have means that we are one of the most popular industrial cleaning companies throughout the UK. If you would like to find out more about the industrial cleaning services that we provide throughout the UK, do not hesitate to get in touch. We work with clients across a variety of industries and disciplines, so whatever your requirements – our team are here to help. Simply fill in the contact form on our website and we will be in touch as soon as we can.